Zeigler…. Tuesday, State Representative Dave Severin (R-Benton) stopped by Zeigler-Royalton High School to present House Resolution 379 and honor the High School’s Coaches v. Cancer program. The group started during the 2009-2010 school year, and has since raised over $110,000 in support of the American Cancer Society for research and patient services. That is the most of any high school in Illinois and one of the top in the nation. 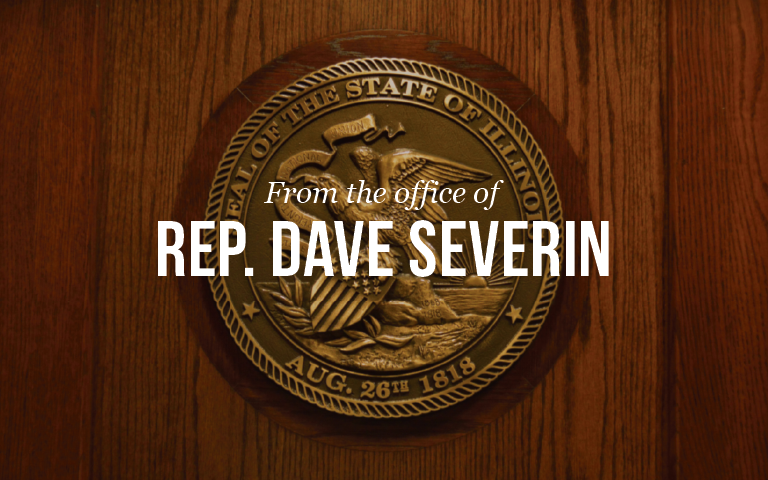 Representative Severin was inspired by how the community has rallied around this cause, and thought Zeigler-Royalton was a great example of how a small town can make a big difference. Randall Risley, who started Zeigler-Royalton Coaches v. Cancer, is very proud of how the group has grown and is happy to receive recognition from Rep. Severin for it.